Paul Francis Sullivan (please call him Sully) does a podcast 365 days a year – unless it is a leap year – then he will do another 1. He has done a show everyday since Oct.24/2012. This to date represents a streak of 1238 days consecutively! Past the CLICK TO READ THE REST OF THIS ENTRY are episodes 800 – 830 of the Sully Baseball Daily Podcast. We will also archive all of his podcasts to date (in coming weeks) so they are easily accessible for all his fans. Check out all his Archived info here. The Angels could easily upgrade their 2B and LF positions, and will need to compensate for Albert Pujols to at least miss the start of the 2016 season as well. They have great depth in the Pitching Rotation, however are bogged down by the Jered Weaver and C.J. Wilson costing them a combined $40 MIL. Add in $30 MIL in buyout/dead money and the team will have a tough time competing in 2016 without nearing $200 MIL in total team payroll. This means that Arte Moreno will have to give new GM Billy Eppler some more money to dole out to Free Agents. Will he do it? I am afraid for the Halo’s in 2016 if he doesn’t bring in 2 – 3 more upgrades.. It has been a slow but somewhat productive winter for the Angels brass, and in particular for new GM Billy Eppler. They have done the kind of deals that will work only if they still pull the trigger on signing a premiere player. Los Angeles acquired a 3B already in Yunel Escobar, who was only traded for by flipping Trevor Gott and a mid level prospect. Not bad for a guy who batted .315/.374/.415 over the past year, makes $7 MIL in 2016, and has a Team Option for 2017 at another $7 MIL – or the club can Buy him out for a cool million. David Wells was the 1st Yankee to throw a perfect game since Don Larsen had thrown one in the 1956 World Series. It was the 15th perfect game in World Series history. This underrated Lefty was a 3 time ALL – Star and is 2 time World Series winner – and he also was the last player to have been carried off the field at Yankee Stadium. 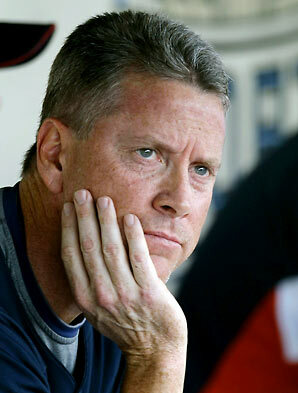 Wells led the American League in 1999 with 20 wins, had the best win percentage with the Yankees in 1998 (.818) – and had several years in which he led for Walks/Strikeouts Ratio, Complete Games and even had a year of each leading the league in Innings Pitched and Shutours wih the Yankee. 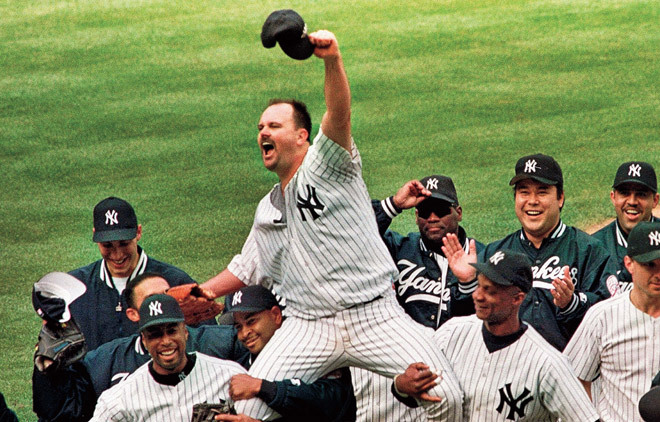 David Wells is one of the most criminally underrated Left Handed Pitchers of ALL – Time. I put him right up there with Jamie Moyer for never being recognized for just how good they were. But it was almost not to be. 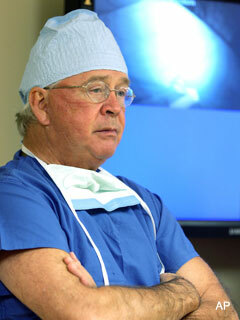 David Wells was about the 10th Pitcher to undergo the Tommy John Surgery ever. This was back in 1985 – before he even made it to the big leagues. 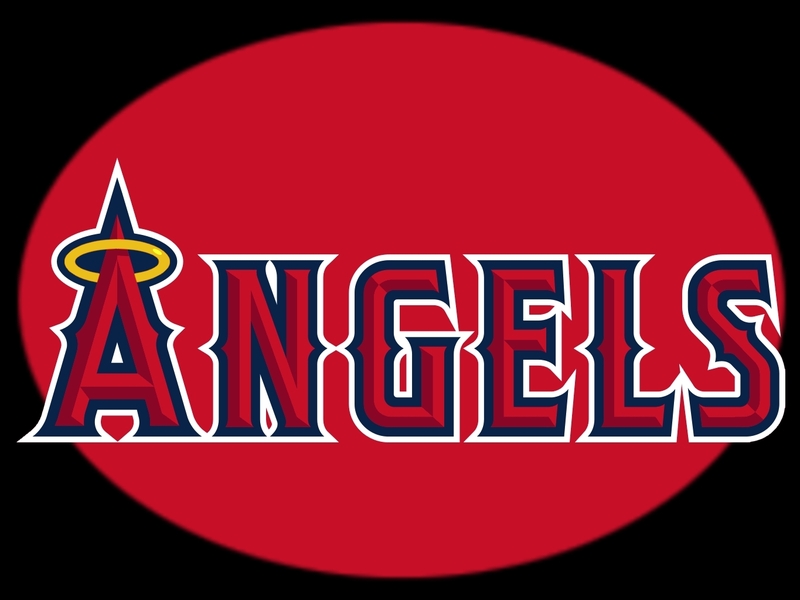 The Angels have needs at Catcher, 3B, 2B and a OF spot. They have great depth in the Pitching Rotation, however are bogged down by the Jered Weaver and C.J. Wilson costing them a combined $40 MIL. Add in $30 MIL in buyout/dead money and the team will have a tough time competing in 2016 without nearing $200 MIL in total team payroll. 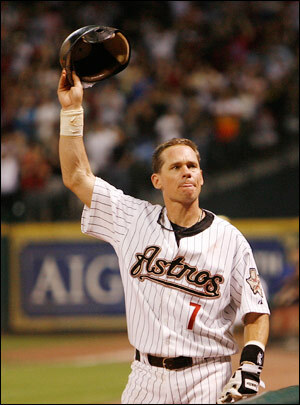 The Halo’s will reel from the Josh Hamilton contract for a few more years, however they will see C.J. Wilson and Jered Weaver come off the books for 2017. But that also leaves a massive void in a Starter staff. Mike Scioscia needs all sorts of help on offense and defense to compete in the AL West, but they should really try to solidify the Starting Staff for future years. I would try for one legitimate ace, and then I would go after 1B/OF and AL HR king Chris Davis. “Stoking The Fire” Week 4: Mariners State Of The Union: Spend Some $$$ This Winter Seattle!! Life has not been so great for the fans of the PAC NW of late. The Mariners have regressed in the last decade of baseball – and are withering with the lowest attendance teams in the game of baseball. This followed the 1st 5 years of Safeco Field’s existence, where they were drawing over 3 Million fans – and competing in the AL West every year. It is imperative this team spends money on quality Free Agents this winter. Loaded with a multitude of young arms, and position players. this franchise should be seeking power bats in the OF and 1B/DH positions. Nothing is more a waste of time, than watching a premiere talent like Felix Hernandez, have to suffer in the haphazard city of Seattle, while the team has entered a new generation of futility. This is a franchise that was abysmal from 1977 – until the time that Ken Griffey JR. came to the rescue. A few years later, armed with some good drafting – and Randy Johnson from trading away Mark Langston, and the team was ready to compete. Of course I can always quote “Seinfeld” – where Jay Buhner was also acquired for DH Slugger Ken Phelps. 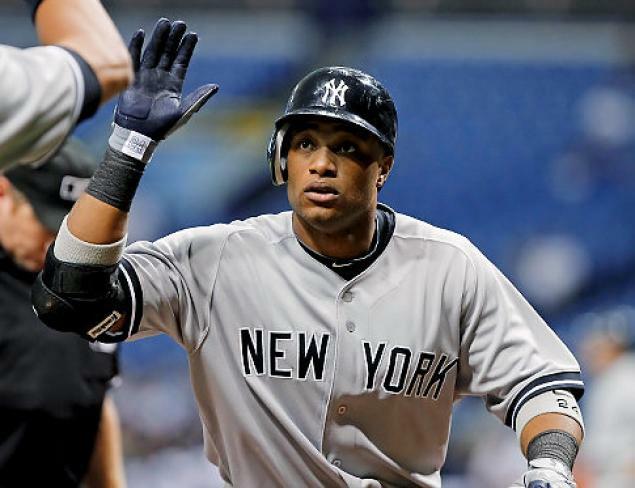 But since Lou Pinella followed ALL – Stars out the door in 2004, Johnson, (1998) Griffey (1999) and Alex Rodriguez in (2000), the club has fallen on some hard times. At first the team was stoic with the players leaving the nest, as Jamie Moyer and Ichiro Suzuki helped lead the charge for a record winning 116 Games in 2001. Suzuki was the right infusion when the other guys left, and he stayed graciously with the team until mid 2012. 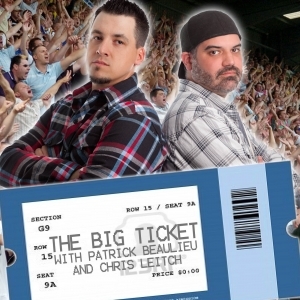 The 2 And A Hook Podcast will be running 8 consecutive shows on Thursdays Sept. 19 + 26, and Oct 3,10,17,24,31) – Join us for our extensive playoff coverage from Chuck Booth, Chris Lacey, James Acevedo and many other guests! I start it off with talking about the Yankees chances of getting the 2nd Wild Card Spot & giving them props for having a good season no matter what happens..
Warren Spahn collected 363 wins during his Hall of Fame Career. 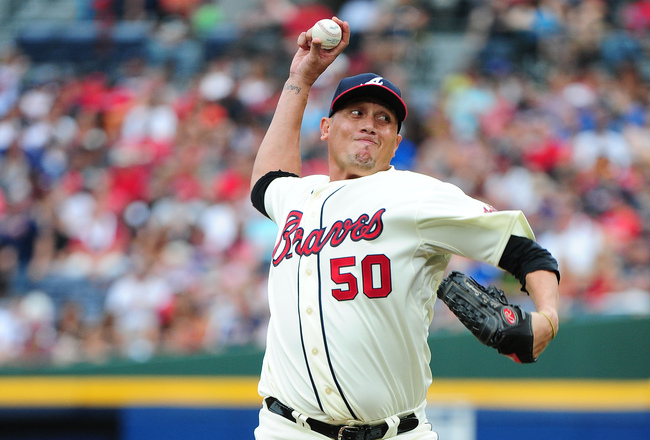 After the age of 30, he trails only #1 Phil Niekro (297 wins) with 273 wins ALL – Time in the MLB history. 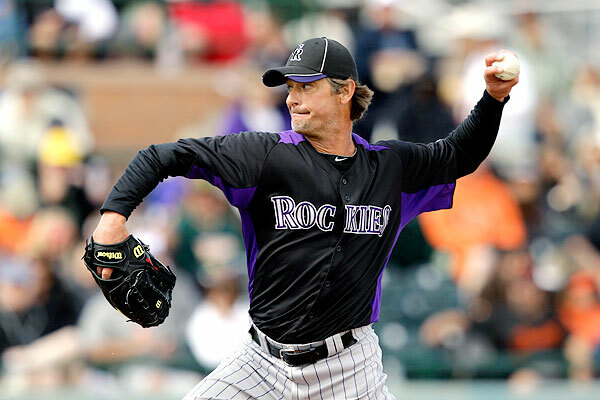 Jamie Moyer is 3rd with 235 victories after his 30th Birthday. Spahn had a better Win Percentage. (594) compared to Niekro’s .540. Incredibly though, Jamie Moyer leads these three in the category of Win Percentage after 30 – with a .602 Mark. 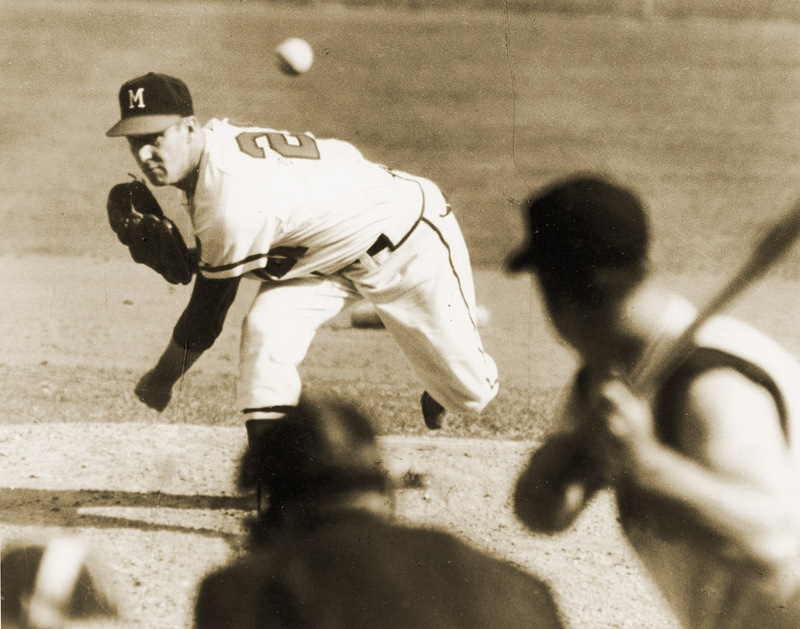 Warren Spahn has the most wins ever by a Left Handed Pitcher in the history of the game – and the 6th most ALL – Time. This week’s article is about a member of the 300 Win Club. Warren Spahn is one of the greatest pitchers of all time, but he didn’t win his first major league game until he was twenty-five. 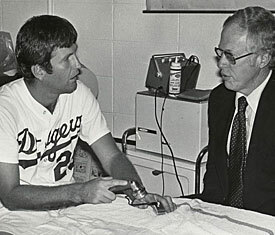 So how did he become the winningest left-handed pitcher in MLB history? In a word, consistency. Among his many achievements, Spahnie had thirteen 20+ win seasons, including a run of six consecutive years. Imagine if he didn’t lose four years to WWII (where he saw active duty and was awarded the Purple Heart and Bronze Star)? Todd Helton has to be the greatest Colorado Rockies player of All-Time. In what could very well be his last season of baseball, can he somehow push the team back into the playoffs? The Colorado Rockies finished 2012 with a 64-98 record – just escaping the dreaded 100 loss season. This record was bad enough to not only get them last place in the NL West, but also give them the 3rd worst record in the National League, only better than that of the Cubs and Astros. It was the Rockies worst season to date – and the 1st time in team history they failed to have a Winning Percentage of above .400. After having a season like the Rockies did in 2012, one would hope that the only place to go is up. The franchise was established in 1993 – and have made the playoffs 3 times (’95, ’07, ’09). All of these were Wild Card births, and in ’07 they won the NL Pennant, before being swept by the Red Sox in the World Series. 2007 was a remarkable season though, as they won 21 of their last 22 regular season games just to get in the playoffs. 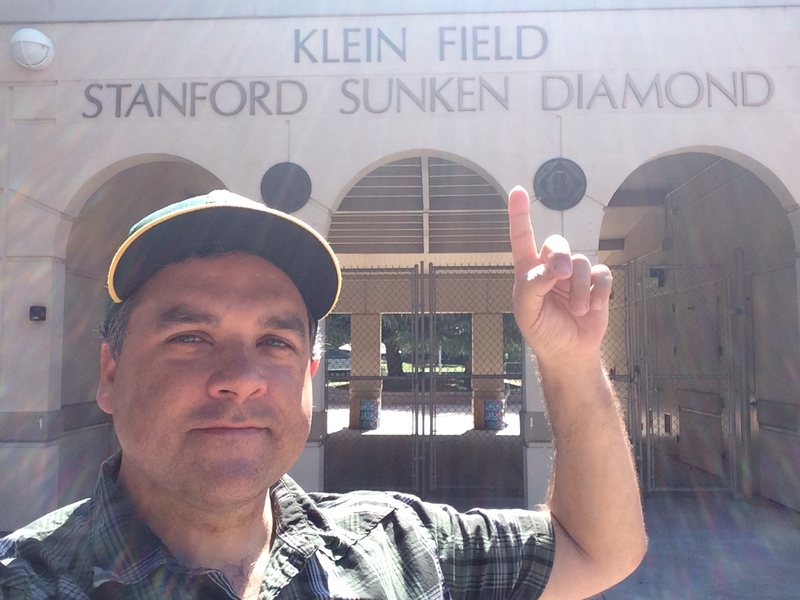 It was one of the great runs in recent memory, maybe even more impressive than the ’02 Athletics 20 game win streak – since this streak propelled them into the playoffs seemingly out of nowhere. 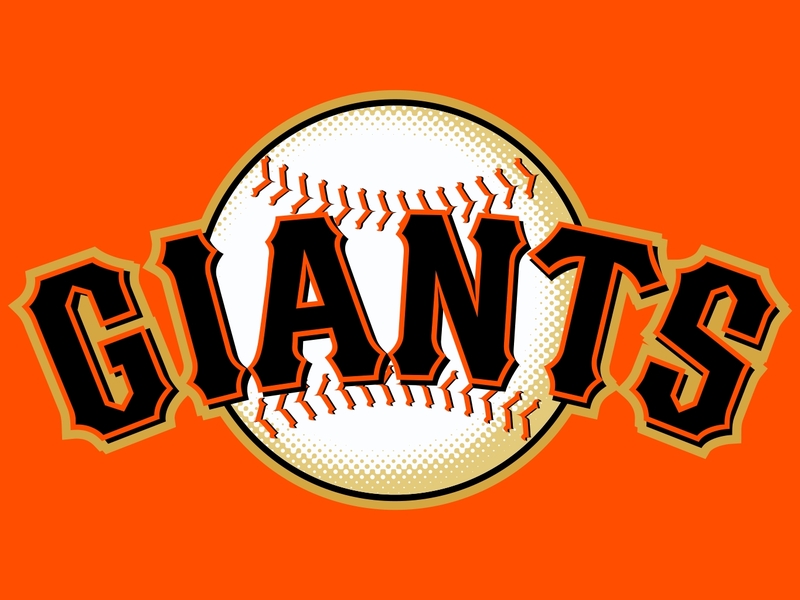 To get back to the playoffs in 2013 might be a little far-fetched considering they are in a division with the reigning World Series Champs (Giants), and a team with a seemingly infinite payroll (Dodgers). It isn’t far-fetched to say they will be better than last year, and could be contenders in the near future. Let me thrown four names out there: Cy Young, Nolan Ryan, Greg Maddux, and Tom Glavine. What do these guys have in common? Two are Hall of Famers and two more are on their way. All were big game money pitchers. And most importantly, they are all 300 game winners. Will we ever see another 300 game winner in baseball? Quite frankly, I don’t think we will. Note from Chuck Booth: I am attempting to bring the history for each of the 30 MLB Franchises into a 5 part series that will focus on 1. The teams history. 2. The hitters 3. The pitchers. 4. The Teams Payroll going into 2013 and 5.The Ball Park that they play in. (The stadium articles will all be done next summer when I go to all of the parks in under a month again.) Be sure to check my author page with a list of all of my archived articles here. 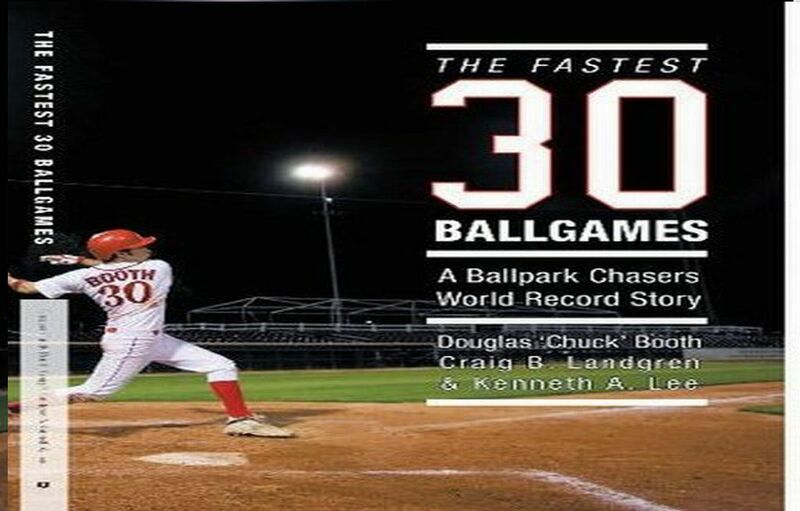 Chuck Booth (Lead Baseball Writer): Follow @chuckbooth3024 This team has played for almost 130 years. As such, they have a great deal of history, so there are going to be several more hitters than pitchers as is the case with most Franchises. For the first seasons as the Quakers, they had some decent pitchers. It wasn’t until Pete Grover Alexander joined the club, that Philadelphia Phillies fams got to see a Hall of Fame pitcher before their very eyes. From Alexander, to Robin Roberts and Curt Simmons, to Jim Bunning, Rick Wise and Chris Short, to Steve Carlton, Tug McGraw and Jim Lonborg, to Curt Schilling and Mitch Williams, to Cole Hamels, Cliff Lee and Roy Halladay, the Phillies Pitchers have been improving in each generation. Last year when the club won a record 102 games for the Franchise, they had the best 4 starters they had ever assembled in Halladay, Lee, Hamels and Roy Oswalt to take the mound. Having Kyle Kendrick and Joe Blanton as your 5th starter is an option most teams would love to have. The Phillies have been one of the best teams in the National League since 1975. They have appeared in 9 NLCS’s and 5 World Series while winning 2 of them. That is an impressive 36 year run. Going forward, the clubs pitchers still look solid. Cole Hamels just signed a 6 year extension, Cliff Lee is around for 3 more years and Roy Halladay still has 2 more years left after this. The club also signed Jonathan Papelbon up until the end of the 2015 season before 2012 began. Papelbon may have a chance to make this list when someone else chronicles the best pitchers in Phillies history one day 25 years from now. If you ask me to have a Mount Rushmore of Pitchers it would be: Steve Carlton, Robin Roberts, Grover Alexander and probably Cole Hamels because of his instrumental pitching since the 2007 season. It took the Phillies 77 years to win their first World Series in 1980, however since that time, they have been to 4 more World Series: In 1983, 1993, 2008 and 2009, while taking home the Trophy in 2008. Chuck Booth (Lead Baseball Writer): Follow @chuckbooth3024 The Phillies started as a franchise in 1883 in the city of Philadelphia-and have the longest continued stretch as their original name. It has been a club that suffered tremendous droughts for the player and fans alike. Only in recent vintage (since 1975) has this team come into permanent prominence, with the now Hall of Fame Mike Schmidt entering the league and turning the fortunes of the city. From signing Pete Rose to put them over the top for their 1st World Series Trophy, to just re-signing Cole Hamels to a 144 Million Dollar Contract, the team has been adamantly aggressive in keeping its name amongst the elite in baseballs annals. One could even argue that the Phillies had been the best team in baseball from 2008 up until the start of this season. I recently named this club the best team from the years 1980-1983 and then again for the years of 2008-2009. But before the likes of: Ryan Howard, Chase Utley and Jimmy Rollins, or Curt Schilling, Lenny Dykstra and Darren Daulton, or Mike Schmidt, Steve Carlton and Pete Rose, they were plenty of other men who left a mark on this historic NL Franchise. We will look at all of the significant players that ever played for the club as a pitcher or hitter. The pitchers and hitters will be focused on solely in the next 2 weeks. Let us look and how the team has fared in its history. Here are the final pitches of the 2008 World Series between the Philadelphia Phillies and the Tampa Bay Rays. Property of Major League Baseball & Fox. 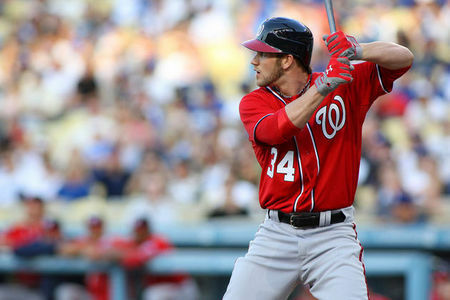 For Part 2 of The 4 Part Philles Article Series: The Hitters, click here. JH: OMM. We are starting of ATR with one of your questions…and of course, it is a Jamie Moyer one. This is the 3rd Moyer question that I recall receiving from you. He certainly is a great story in baseball and you are on top of this one! Moyer is turning 50 this November. His current records sits at 1-2, 4.01 ERA and 1.663 WHIP. He is 32 wins away from 300. How can I put this nicely…it ain’t happening! As much as all of us would love to see Moyer reach the magical 300 plateau, he would need to win 10+ games for the next 3 years. That would have him pitching until 52. A neat story, but the odds are certainly against that happening. In my estimation, Moyer will be done after this year. He came back, proved he could pitch until 50…and then ride off into the sunset. At his age, we are asking a ton from his body to be able to grind out 3 more years. Plus, he would also have to be effective at such an advanced age. Not impossible…but nearly. Moyer has a career 4.23 ERA and 1.319 WHIP. He was never a true #1 starter and the best among his peers. A good pitcher, but not a great pitcher. Cooperstown is supposed to be reserved for the elite, the best of the best. While Moyer’s story deserves to be enshrined in the Hall of Fame, his statistics do not. 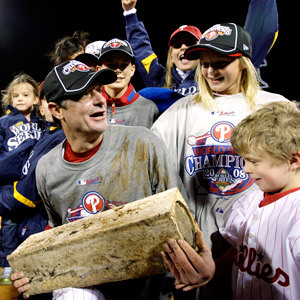 Even if Moyer reaches 300 wins- I don’t see a Cooperstown plaque in his future. Sorry my man- that’s just the way it goes! 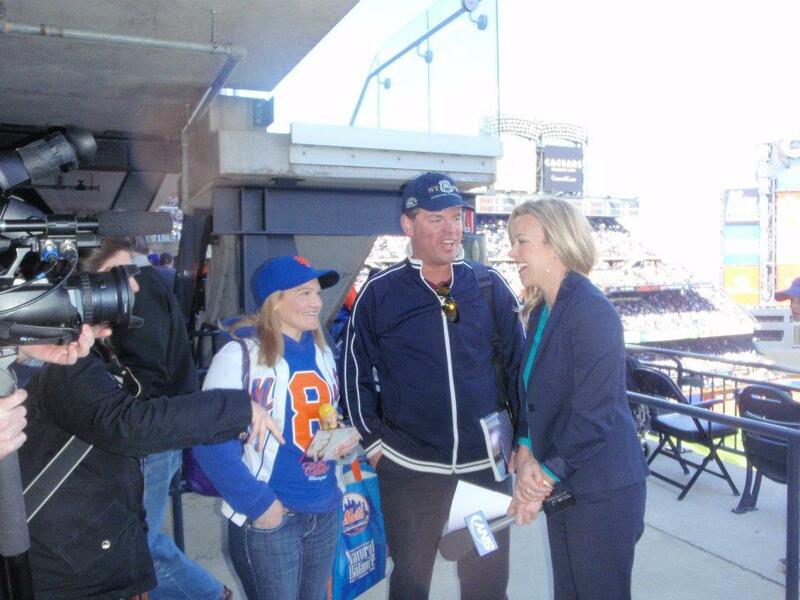 Thank you for the great question and your support of ATR and MLB reports. We very much appreciate it! JH: Probably one of the funniest tweets I have received in some time. I agree with you that the Angels did not handle Mike Napoli well. I can’t speak on his relationship with Mike Scoscia…but certainly, it did seem strained. Unless you have been living under a rock, you would know that I firmly believe that the Angels and Jays blew it by not hanging on to Napoli. The Great Napoli had a season for the ages in 2011. In only 113 games, Napoli hit .320 for the Rangers, with a .414 OBP, .631 SLG (1.046 OPS), 30 home runs, 75 RBIs, 72 runs, plus 58/85 walks/k’s. In other words, Napoli is a beast. This year, Napoli already has 7 home runs in 24 games, with a .241 AVG- but .330 OBP and .506 SLG. I called Napoli the “Next Bautista” when the Jays acquired him and when you look at his numbers since 2011 over a full season, it is pretty darn close. How great would Napoli’s bat look right now in a slumping Angels lineup? What about at first base for the Jays or catcher over Lind and/or Arencibia? Bryan Sheehan: Jamie Moyer is old (I’ll give you a second to wipe up the coffee undoubtably spilled onto your computer after reading this shocking fact). So old, in fact, that he is older than thirteen of the thirty current MLB teams, if relocated teams such as the Atlanta Braves are considered unique from their Milwaukee counterpart. So ancient, that his 25 year career is longer than the life of Wilin Rosario, who caught his record-setting win Tuesday. This performance, which came in the form of a seven-inning shutout gem against the woeful San Diego Padres, made Moyer the oldest starter, at 49 years and 150 days, to win a game of baseball. In a time when power pitchers and young flamethrowers, like Washington’s Stephen Strasburg, are lauded, Moyer and his sub-80 MPH fastball (he never got higher than 79 MPH on Tuesday, according to the Denver Post) are still effective enough to win. Tied for 35th all time in wins and just 32 away from the famed 300 club, it would be nice to think that he could stick around a few more years and break even more records. But looking at his current status, it’s hard to tell when his fairytale career will end. https://mlbreports.com/gwr-tracker/ or at my official website for all updates! 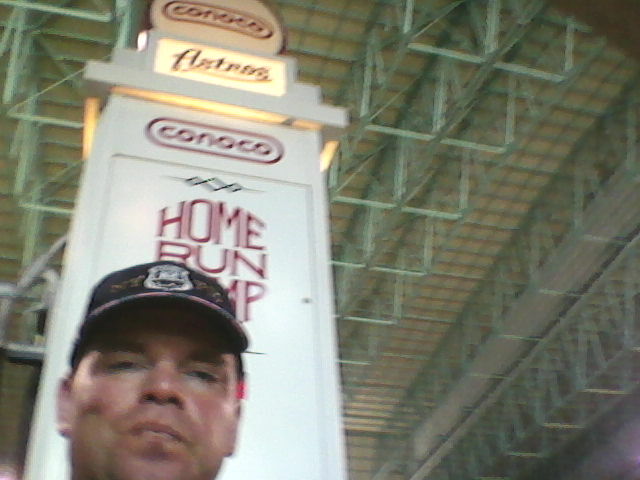 I have encountered numerous ways of being delayed in chasing baseball parks. Last night was no different. I sat in the San Diego Airport ready to embark on my flight to Cleveland that was supposed to be part of a Progressive Field/Oriole Park at Camden Yards day-night doubleheader. Out of all the 10 doubleheaders that I placed to attempt during this World Record chase, this particular one I would rank the second toughest. The only doubleheader I thought was tougher was the Angel Stadium/Petco Park double header. Ironically enough, I converted that doubleheader. So when the flight was cancelled last night-(due to mechanical failure) I knew I had to think fast on my feet. The Airline was offering up help to fly on other flight, or destinations within reason. Much to my dismay, the airline was not even able to fly me into the second half of the double header n Baltimore, thus creating a plane flight domino. Adding to the severity of the pressure, was I had to think of something fast because the airline needed to help me book a morning flight out of San Diego. Whenever I plan one of these trips, I have a depth chart for each team. I am lucky that after a few hours of placing this schedule together, I also come up with many different alternatives. Missing the game in Texas the other night for a small delay was nerve-wracking, but maybe it was all meant to be. When I expressed to the airline that I wanted to fly to Dallas, they quickly were on board with that option. The other dominoes came to me quickly. I moved Cleveland to the 25th as part of PNC Park and Progressive Field Ground Transportation doubleheader. As part of my original streak attempt when I first dreamt up another run at this, the schedule had this exact doubleheader. Cleveland was the last team in the Majors to post their start times. When the Indians scheduled a matinee for the 11th of April, it opened up another doubleheader attempt for me by placing the Orioles with Cleveland. All I had to do was bring Detroit into the doubleheader chance with Pittsburgh instead. Now that I am not going to Progressive Field today, I am able to re-schedule the easier to attain doubleheader. Baltimore was switched to the date left vacated by Texas on the 27th of April. This left Detroit. I knew the team played on the 22nd of April. 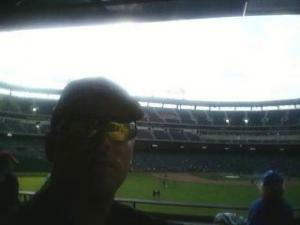 One of the reasons I went to Chase Field last Friday, was to protect myself against something like last night. That Chase Field game is now the 1st game of the streak. I moved Detroit into their slot on the 22nd. All the teams have a home in the streak again. What is more incredible about this: is that by shifting these cities around and shuffling transportation costs this little maneuver is going to save me $300. I was dreading having to schedule the Texas game after the streak ended, whether it was driving 17 hours or flying, it was going to be costly and time-consuming, I managed to switch out all my flights and actually have a surcharge in my favor. Since I am flying to Denver from Dallas tomorrow, it was a cheaper flight from almost anywhere when you near a travel day fare. Now I am flying to Dallas for a plane fare I spent $160 to originally go to Cleveland for. This day of plane for to Dallas would probably be in the $500-$600 area. Moving Detroit to Sunday the 22nd is pretty decent too, I have a doubleheader for Chicago and Milwaukee on the day before. This is about a 7 hour drive to Michigan. Ken Lee will now attend at least 8 of my games with me for this streak. The Pittsburgh/Cleveland double dip is very doable. The Pirates game should end around 3:30. It is only a couple of hours drive to Progressive Field from there. I would give us a 80-85% chance to hit this game. If for some reason we don’t, the Indians play on the 27th- through the 29th. Other doubleheaders remaining are the TOR-NYY (Yankees play on the 27th-29 in case of miss) ATL-STL (Cardinals play on the 27th-29 in case of miss) CIN/CWS (The White Sox play a series on the 27th-29th). CHI/MIL (The Brewers do not play so I will need the DH). I also give us a 80-85% of making this. Finally I have the Boston/Washington DH (If I miss WSH-I can move them into the Marlins slot of the 17th and then re-do the Marlins from the (27-29 series). With a flight cancellation last night, it has caused me to reschedule several games for the streak. The Arizona D’Backs game now becomes the official game #1. If the game was changed from the original, it will be highlighted in red. I also changed the PIT/DET doubleheader to now be a PIT/CLE Doubleheader on the 25th ave. I lost one of my doubleheader attempts today, but at least I am not taking an a zero. Jonathan Hacohen: Posted every Weekend: Your top baseball questions from the past week are answered. 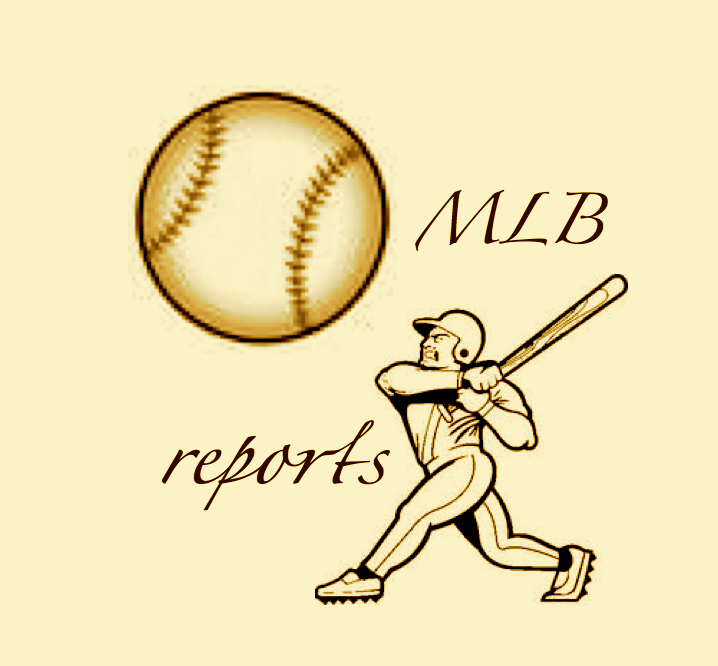 E-mail all questions to mlbreports@me.com, message us on Twitter and post on our Facebook Wall! Doug Booth- Guest Baseball Writer: In May of 1993, Jamie Moyer had spent the previous year entirely in the Minor Leagues with the Detroit Tigers and wondered if his signing with Baltimore Orioles in the offseason was a mistake. At that point in his career Moyer had posted a career won-loss record of 34-54 (.405) with the Cubs, Rangers and Cardinals. 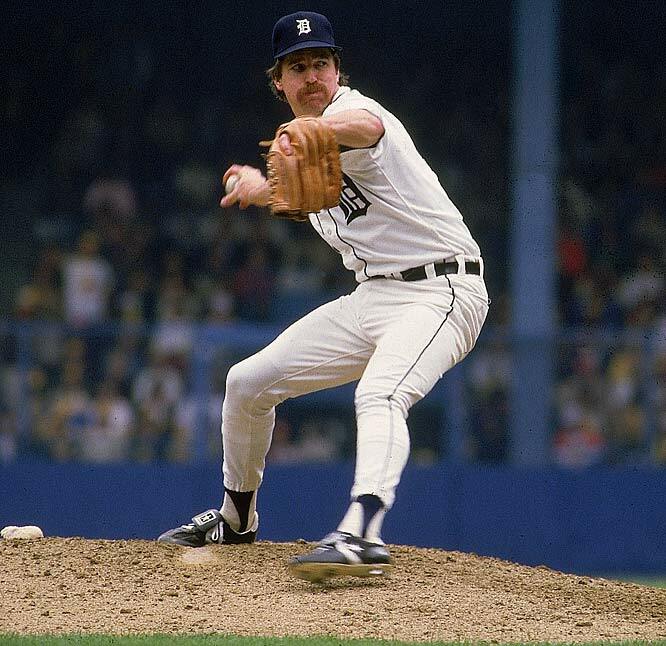 He was a soft-tossing Left Handed Pitcher who struggled with giving up home runs. 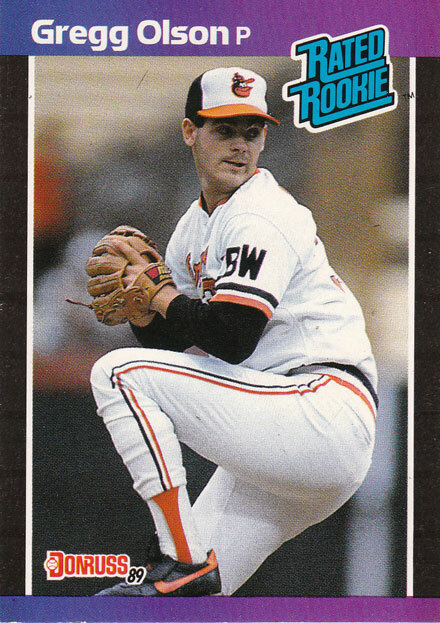 Jamie was called up May.30/1993 by the O’s and began to pitch himself into respectability the next 3 seasons with Baltimore-achieving a 25-22 record. Baltimore was a contending team in the American League and thought Moyer was not going to help them with a championship bid the following year so they released him after the 1995 season. Boston signed him for the 1996 season. Moyer started out in the bullpen 7-1 that year and was later traded to the Mariners for Darren Bragg. It would be a trade that would give Jamie a new lease on life. The Seattle Mariners were a powerhouse team back then with the likes of Ken Griffey Jr, Randy Johnson, Edgar Martinez, Jay Buhner and a young phenom SS in Alex Rodriguez. The team had plenty of offense and just enough defense to help Moyer go 6-2 the rest of the 1996 season-to help his record to 13-3 overall that year which led the Major Leagues for winning percentage (.813). Moyer was a perfect complimentary pitcher to Randy Johnson went it came to style contrast. Johnson threw in the mid-nineties and buttered up the opposition-and Moyer was the perfect change of pace with crafty off-speed tossing. 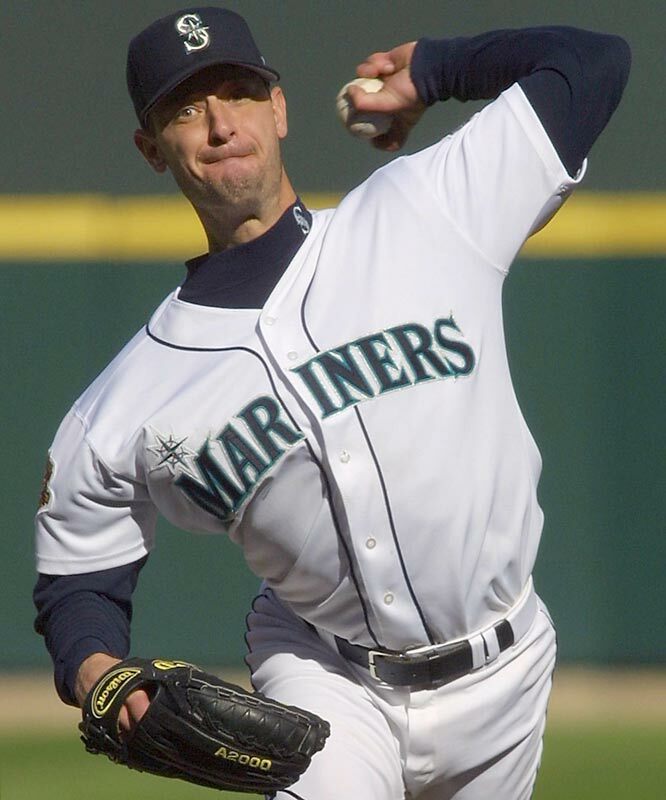 In 1997, Jamie Moyer went 17-5 with a respectable 3.86 ERA, that was not bad considering the Mariners played at an offence friendly Kingdome for half of the time. The next three years Jamie still went 42-27, but his ERA had crept up to 5.49 in 2000, which was more than a run and a half higher during his Mariners career. Jamie Moyer had still proved his critics wrong with his career renaissance. He was turning 38 in that offseason. The Mariners had moved into Safeco Field despite losing star players of Ken Griffey, Randy Johnson and Alex Rodriguez in consecutive years. The team looked to be in transition. Jamie still wanted to pitch and began training harder than ever. 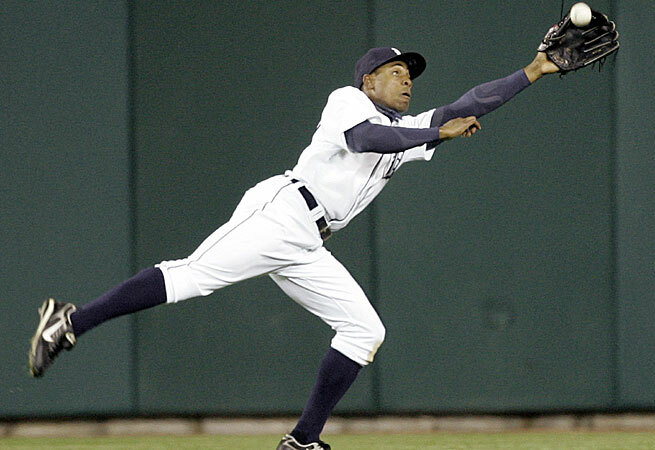 The 2001 season was historical for the Mariners from start to finish. Playing in front of capacity crowds at Safeco Field the Mariners played inspired baseball. Right in the middle of the team’s incredible year was Rookie of the Year and MVP Ichiro Suzuki. His injection of youth and helped the Mariners finish the season with a record tying 116 wins. In those wins, Jamie finished the year 20-6. It was Jamie’s first 20 win season. Jamie lowered his ERA all the way down to 3.43 that year-which was one of his best ERA’s of his career. The Mariners lost out in the ALCS to the Yankees but Jamie Moyer had pitched the best year of his career. Jamie finished 4th in Cy Young voting. Despite lowering his ERA to a career best 3.32 at that time, Jamie finished 14-8 in 2002. In 2003, and at the incredible age of 40, Jamie went 21-7 with a career single season best 3.27 ERA. Jamie was named to his only ALL-STAR appearance and finished in the top five of Cy Young voting once again. Over the next five years, Jamie continued to amaze the doubters by posting a 56-40 record (.583). 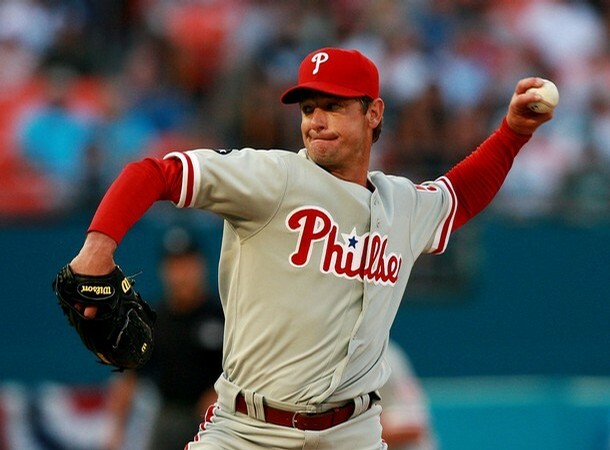 At the age of 45, Jamie Moyer played the most pivotal of roles-with series saving performances in the 2008 playoffs en-route to the Phillies winning the World Series. It was a culmination of a career for the man. Jamie pitched okay in 2009, and saved some of his better performances for later in the season coming out of the bullpen-before suffering some torn muscles in his left arm that ended his season. 2010 saw Jamie post a respectable record of 9-9 before he was injured for the rest of the year just after the All-Star Break. Jamie tried to pitch in the Dominican Winter Leagues that fall but he tore up some more pitching muscles. Jamie Moyer needed Tommy John surgery at the age of 48. Jamie still plans on making a comeback in 2012 at the age of 49. Even if he doesn’t catch on with a team-his longevity and record is quite remarkable. Started his career 34-54 before age 30 (.405) and then went 233-150 for the remainder of his career for a .608 winning percentage. 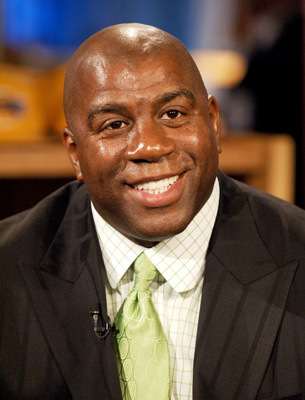 His career record is currently 267-204 is still at a .567 winning percentage. His 233 wins after the age of 30 trail only #1 Phil Niekro (297 wins) and #2 Warren Spahn (273 wins) all time in MLB history but Jamie had a better winning percentage than both of them after age 30 at .608-to Spahn’s .594 and Niekro’s .540. Jamie was one of the top 2 winning pitchers from 2001-2010 decade with a record of 140-94 (.594), only Randy Johnson with 143 wins in the decade had more…rounding out that top 5 were: Roy Halladay with 139. Andy Pettitte had 138, Roy Oswalt and Tim Hudson had 138. Jamie also compiled a record of 103-70 (.595) after the age of 40. Jamie Moyer has thrown 4020 innings and struck out 2405 batters despite a fastball that ranged from 82-89 MPH in his career. 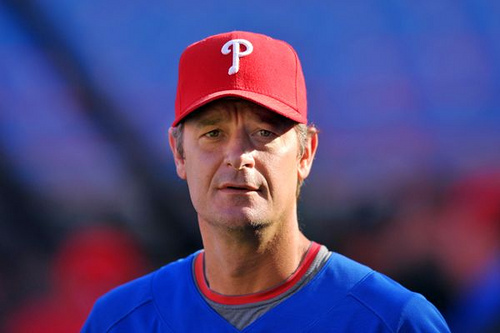 Will Jamie Moyer receive Baseball Hall of Fame consideration? He will garner some votes as his career is very similar to Tommy John. It is unfortunate the man could not achieve 300 wins in his career with such a slow start-but there is no denying that he should receive “The Most Unlikely to Have Such a Great Career Award.” He is a classy professional and is an even better human off the field, with running his Moyer Foundations all across the country. Jamie has touched countless people and is a great role model for all of those athletes who might feel like giving up. Kudos for having a great second half to your career Jamie Moyer! !